The Perl Archive A good site to visit if you're looking for CGI scripts. 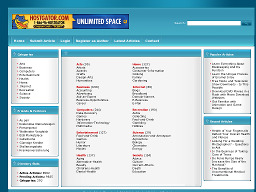 With over 3,953 scripts in 169 categories, there's something for everyone. The site also has a learning center and discussion forums if you need CGI tips or help. 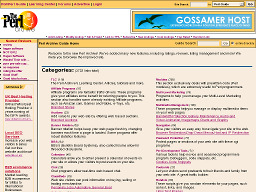 Perl.com Central web site for the Perl community, providing a starting place for finding out everything about Perl. 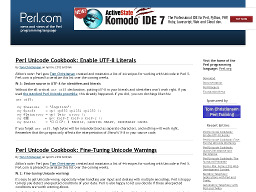 A great resource for programmers, new and advanced. The CGI Resource Index Provides a one-stop-shop for people with CGI needs. Over 2,800 free and shareware PERL scripts in numerous categories. 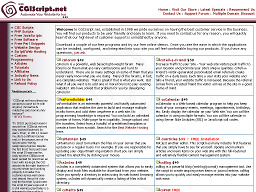 The site also offers a wide variety of other language scripts as well as CGI tips, tutorials, news and references. CGI City Provides a one-stop-shop for people with CGI needs. 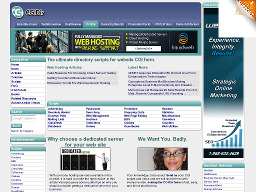 The site offers a wide variety of free and shareware scripts as well as CGI tips, tutorials, news and references. 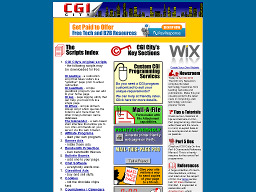 The CGI Directory Has over 1,200 free and shareware CGI scripts in more than 20 categories. The site also has useful tutorials, books, articles, FAQ's and newsgroups. A nice site if you're looking for CGI help or inexpensive scripts.